STEM: the Musical is doing for the sciences what School House Rock did for civics! We use our favorite medium – the power of musical theater – to inspire students for a lifetime of learning. Each precious member of our audience has dreams, and we want them to leave knowing that their dreams matter, and are achievable. We want to reach students early in their educational careers and inspire them by inviting them to dive into science for the pure joy of it. While our message is fun and inspirational, we've also taken our content straight from kindergarten through eighth-grade curriculum standards. We want to break down the barriers that keep many students out of these fields, and we want to have fun doing it! Women and minorities still lag behind when it comes to entering lucrative STEM fields, and that divide can start very early in their educational careers. The message that STEM is for ALL students, regardless of cultural or socioeconomic background, is central to our mission. We reflect this commitment by featuring a gender-balanced, multiracial cast, and by highlighting some of the many contributions to STEM fields by these groups. STEM: the Musical is a 50-minute live-action musical that takes audiences on a journey of discovery through the STEM disciplines. Our story is woven around the inspirational message that you can do and be anything you want to be.  Written with a close eye to Common Core and state educational standards, our lyrical innovation allows us to adjust the level of the STEM topics for each audience we perform for, without changing the story or the music!